As a leader in physical medicine and rehabilitation, Khyber Zaffarkhan, DO, FAAPMR treats all pain-causing issues, from minor to complex. He's the founder of Regenerative Institute of Newport Beach in Newport Beach, California, located south of Los Angeles in Orange County. Dr. Z — as his patients call him — earned his medical degree from Midwestern University in Chicago. He completed his required internship at the University of Chicago Weiss Memorial Hospital. Next, Dr. Z began his residency training in physical medicine and rehabilitation medicine at Tufts New England Medical Center in Boston. He completed his residency through the University of California Los Angeles (UCLA) program at West Veterans Affairs (VA) Los Angeles Medical Center. To further his expertise, Dr. Z went through fellowship training in orthopedic and interventional spine medicine at Portner Orthopedic Rehabilitation, Inc. in Honolulu. 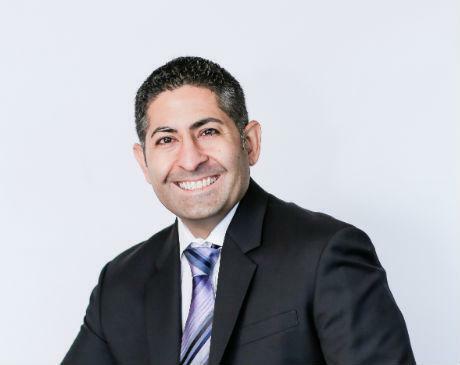 As a board-certified diplomate of the American Board of Physical Medicine and Rehabilitation, Dr. Z is known for his extensive knowledge and superior expertise. He specializes in the latest natural, non-surgical treatments and pain relief options. When Dr. Z isn’t busy caring for patients or being active in the community, he enjoys surfing, golf, computer programming, and spending time with his family. Dr. Z is also a licensed Federal Aviation Administration (FAA) pilot. Patients of Dr. Z commend his warm, personal, caring bedside manner. He's an active advocate for battered women and victims of domestic violence. Dr. Z welcomes new patients and their families to the clinic.